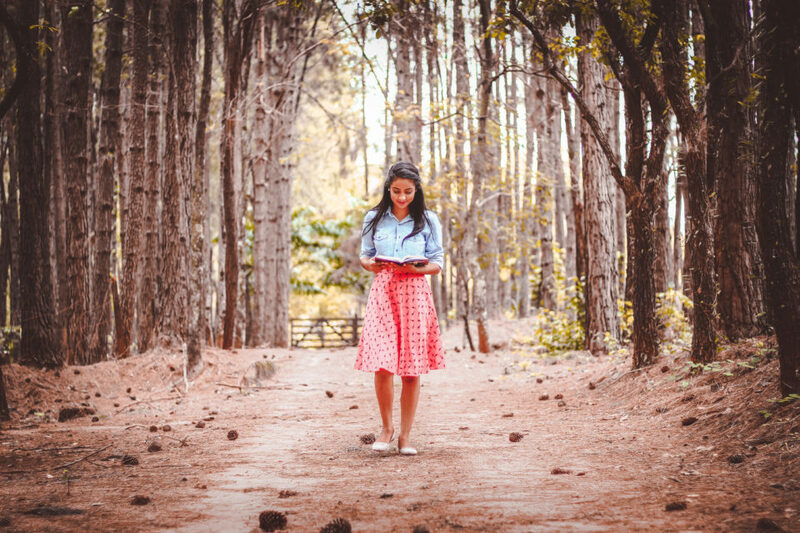 Hi Ladies, I want to share with you three ways to increase your time with The Lord. What are things that you do daily? Daily routines afford us the perfect opportunity to spend time with the Lord. I call this our “on the go” time. If you’ve read my book , “FaceTime” then you know I encourage this principle after realizing that we shouldn’t treat time with the Lord like we’ve fulfilled a quota, …. like we’ve done our hour and we’re done. When we love Him, then pursuit of Him should be as natural as we breathe, or as natural as the habits that we create daily. ♥ While you’re taking shower, you can pray. ♥ While you’re getting dressed you can sing melodies to the Lord. ♥ Instead of that morning “chit chat” conversation, you can listen to the Bible on audio. ♥ Annnnnnnd instead of scrolling social media for hours during the day, you can take that time and search the Bible for scriptures that minister to you. Along with “on the go” time with the Lord, I do believe in still scheduling time with Him. If we can schedule hair appointments, lunch dates, etc. then certainly we can schedule time out in our day to really pursue God. For me, my best time for this is around 5 am. I know that I will have at least one hour to pray and seek His face before our three children awake. Be sure to schedule time that is completely devoid of distractions. And remember not to give God your scraps. If you can watch 2 hours of a television sitcom , then you can certainly give God more than 10 minutes. If you really want more of Jesus, you will make time….if not you will make excuses. Both of these points line up with the last point, surrender. We must live a surrendered life before the Lord. Many people say, well God gets the first part of my day, or an hour of my day, but why not give God your whole day? That doesn’t mean that you don’t engage in anything outside of prayer, but it means that you have surrendered your day to be submitted to God’s will for your life , literally every minute. I pray these three tips helped you! As always, if you enjoy these blogs, be sure to share them on your social media pages. 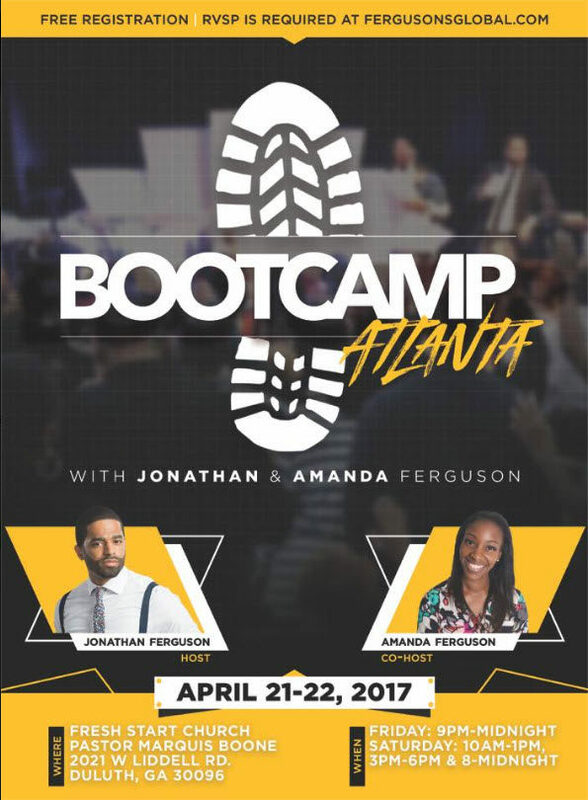 Also, I would love to meet you April 21-22, in Atlanta for Bootcamp Atlanta. We are exactly one week away, and it’s not to late for you to register. I will be speaking and can’t wait to share what God is doing alongside my husband Jonathan Ferguson. ♥Amanda Ferguson♥ Wife. Mother. Author. Very helpful! Some I do already, but I need to push myself to get up in the morning and spend time with God. Thanks for sharing! Awesome!!!! Thank, I needed this?? So timely!!! We make time for what we want to make time for, and if God is our priority – we need to prioritize Him!! This is what I’m learning in my life – God bless you, Amanda! I all ways enjoy reading your blogs! Most mornings at around 5:00 a.m. Is also me time to pray! So looking forward to meeting the both of you at Boot Camp if funds work out and to night in Memphis! I was there last night and he prayed for my back after me being in 8 car accidents years ago. Praise God! I received my healing! I am trying to get funds to Boot Camp I have made Reservations for my room Already but don’t have funds the tickets are so high. Thank you so much Mrs.Ferguson your blogs are so encouraging and uplifting.This blog has given me confirmations and wisdom that will help me increase my time with God. Thank you??? Awesome! I’ve been reading a book on prayer, and it said these very same points. ☺ I’m going to be at bootcamp atlanta and my cousins and I are sooo excited! This was very encouraging to me. But I need to increase more time in the prayer and studying of the bible more. I am not in the place where I use to be. I have sort of gotten distracted and off of focus. But I know that I need to do better in Jesus name. Lady Fegurson, I thank you for sharing this with us ladies that are truly hungry for God! I enjoyed these tips and they were very helpful and encouraging! I enjoy reading your blogs. It is very timely and inspirational. Thank you. Lorddddddddd!!!!! Yessssss. Thank you soooo much @mrsamandaferguson!!!!! This is JUST what I needed!!!!!!!!! Wooooww!!!!! The Lord is ALWAYS ALWAYS ON TIME!!!! May God bless you! You are such a great example of a godly virtuous woman of God. I wish you’d do more periscope tho. But thx. ❤️❤️❤️❤️❤️ Love ya much. Good word and very timely for me. This is something I use to do. I will get back to spending that time with him. This came right on time. Thanks? Thank you for sharing I try to keep focused on the lord daily even during work driving my car and doing my house chores may God bless your ministry and your family. Love, love this article!! Your such a fantastic writer! I’ll add listening to the Bible on tape to my daily time with the Lord!! Excellent suggestion as always! Hi Amanda I enjoy reading your blogs those are some good points on how to spend time with the Lord, however I am so busy getting dress for work in the mornings and trying to stay focus I do not get the opportunity to pray until I am on my way to work driving in the mornings I am usually out of the house at 5:00 am in the morning and on the road but I am praying and speaking the word of god over my day keep the blog coming I hope to meet you and your husband at one of yours encounters soon but until please pray for me and my health thank you and I will continue to pray for your family as well may god blessing flow on your husband and you during your meeting April 21-22 17 in Atlanta,Ga. in Jesus Name Amen !!! I follow your husband on twitter, facebook,periscope and youtube and I love his insight and knowledge on the word of god.!!! wonderful teachings Amanda I enjoy all of your blogs !!! Thank you so much for sharing. Your blogs really help me as a single mother. Thanks for allowing God to use you . Awesome tips. I will definitely start applying these to my daily routine. Thanks for sharing with us! ? This is where the enemy fights us the most! Certainly needed this! Love you, God bless you.